It's only been less than a year since Frank Ocean dropped his last album, Blonde, but it seems like forever ago that nobody knew where in the world Frank Ocean was. After dropping his Grammy-winning Channel Orange in 2012, Frank all but disappeared entirely, only to emerge with a visual album and a studio album that was far more daring than his first. In a bit good news for Frank Ocean fans and music nerds out there, the critically acclaimed Dissect podcast, which recently partnered with Spotify to release a third season, will be focusing their attention on Frank, first with a six-episode mini series about Channel Orange, and then an entire season on Blonde. Dissect typically focuses on a single album per season, with the past two seasons bring in-depth analysis to Kanye West's My Beautiful Dark Twisted Fantasy and Kendrick Lamar's To Pimp A Butterfly. 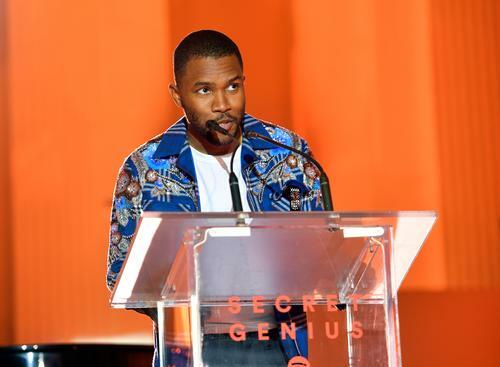 In an interview with Pigeons & Planes, host Cole Cuchna discussed why Frank Ocean made such a compelling subject for the new season. "Beyond his music, which is always first and foremost in my mind, Frank Ocean has an incredibly interesting story," said Cuchna. "As I was researching his music and his background, I realized that his art and his personal actions move in parallel in pursuit the same thing: truth and authenticity." The third season the podcast will ficially premiere tomorrow, May 15th, exclusively on Spotify. Each episode will premiere on other podcast platforms a week after its initial Spotify release.